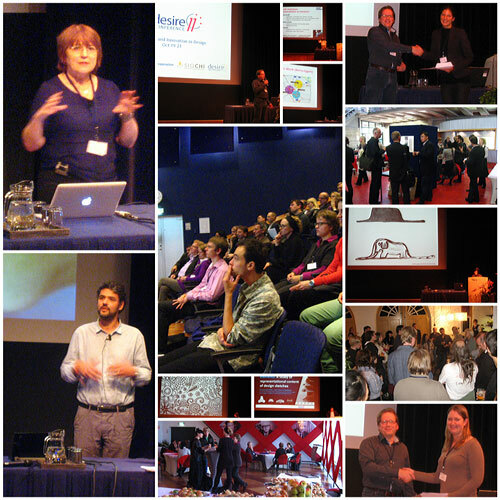 The DESIRE Network organized the Second International Conference on Creativity and Innovation in Design in Eindhoven, the Netherlands, on 19-21 October 2011. The conference theme of the first DESIRE conference, held in Aarhus, Denmark, on 16-17 August 2010, was theories and models of creative processes in design (see https://conference.cbs.dk/index.php/desire/conference for more details). The conference was organized by the DESIRE Network (www.desirenetwork.eu) which was funded by the European Commission. The network aimed to advance the current understanding of creative processes applied in scientific and technological design. The conference was organized In-Cooperation with ACM and the proceedings were published in the ACM library. The conference took place just prior to the 10th edition of the Dutch Design Week (DDW), the major annual venue to experience Dutch design in all its facets (see www.dutchdesignweek.nl/index.php?lang=en&id=0). Over 1500 designers participated in the DDW, which lasted 9 days, has 300 events spread over 65 locations throughout the city of Eindhoven, and drew 150.000 visitors from Holland and abroad.